The Victorian Ombudsman looks out for your rights. Do you feel as though you’ve been treated wrongly by your local council, a State Government department, a statutory authority like WorkSafe or VicRoads, or a university or government school? Have you tried unsuccessfully to resolve your issue yourself? If so, the Victorian Ombudsman is here to help. 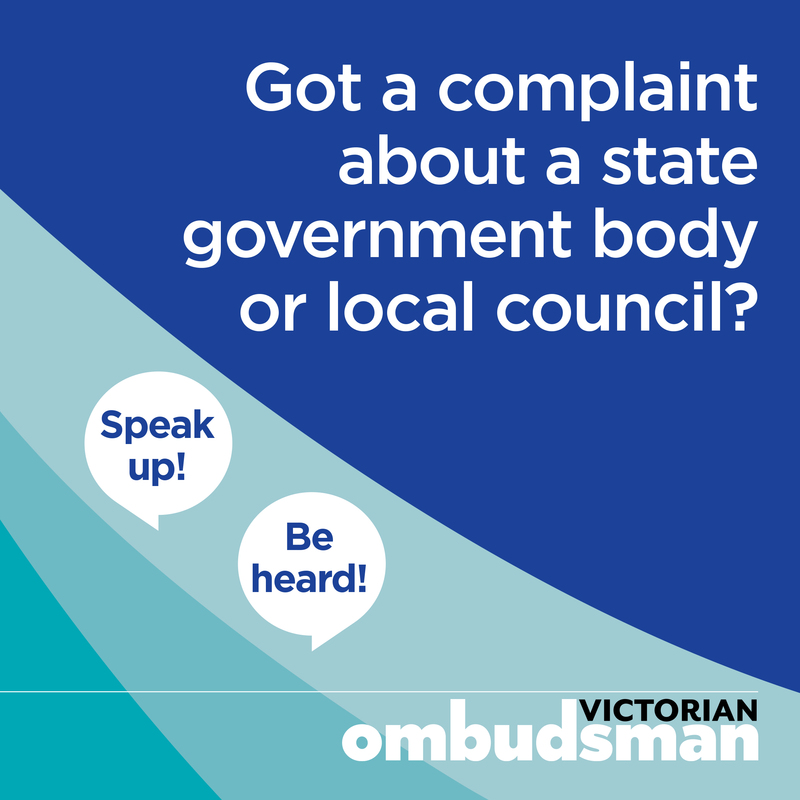 Speak to Ombudsman staff in person at the Law Week Hub to find out how they might be able to fix the issue at the centre of the complaint, improve organisational practices or refer you to a more suitable body.